One of my goals for this year is to make my blog a bit more personal and really share what goes on in my day-to-day business life. So part of that is of course sharing the journey of my projects with you. I hope to bring you along on the ride and share how I go about transforming spaces. Last week I finished up a little project which was just so much fun to be part of. Shortly after I re-launched Styleast and had started working again, I was approached by a local East London photographer called Michelle Guzinski. 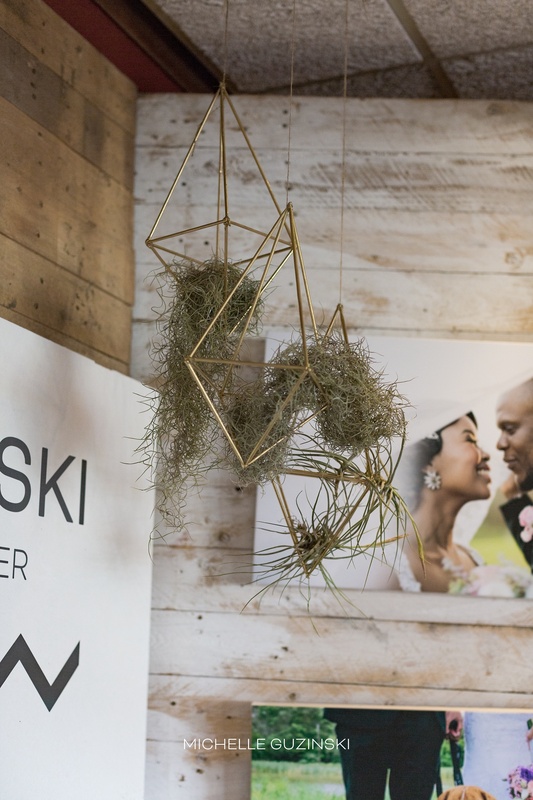 She had signed up for the East London Bridal Expo and wanted some advice and assistance in putting her expo stand together. When she handed me her business card (Gold and Chevron) I was sold! 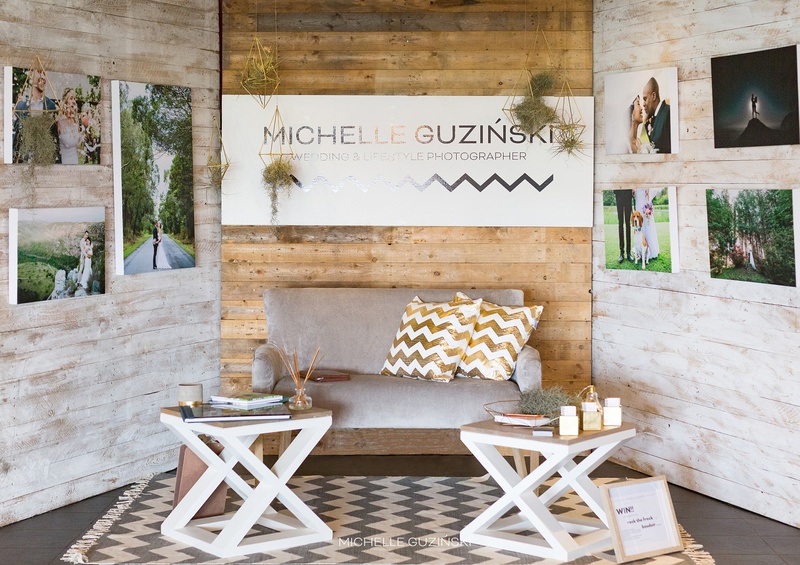 Michelle is a Lifestyle and Wedding photographer (you can visit her website here) who explains her brand as been natural and glam. There is a distant Chevron pattern in all her branding so that was something I really wanted to enforce in the design. The brief from Michelle was to bring wood, Gold (Yaaaas!) Grey, and some plants onto her stand. 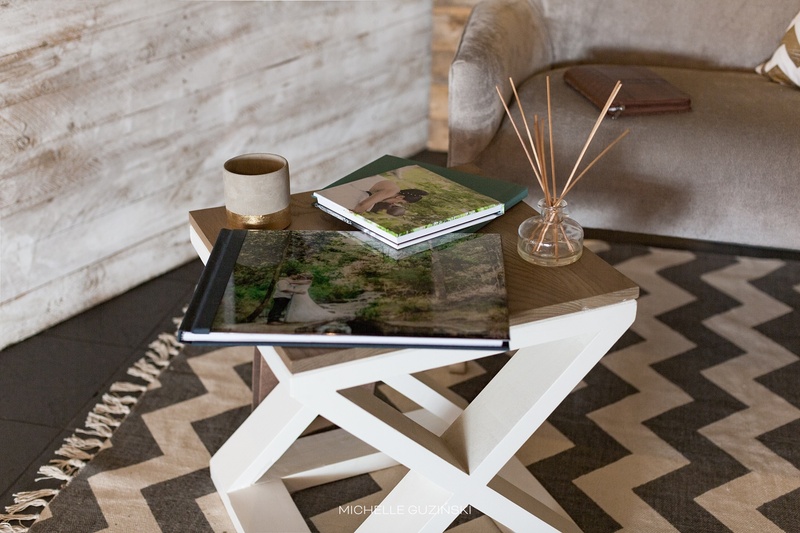 She needed a seating area and table top space, and most important of all, we had to showcase her beautiful photographs. Here are some snaps of the finished stand. 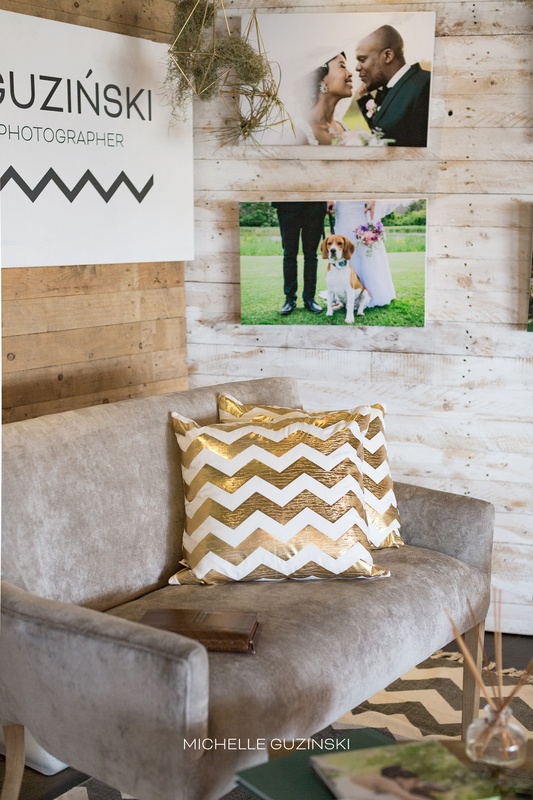 We got gorgeous reclaimed timber screens (which are available to hire) from the Juniper Event and Styling Co. Michelle wanted a seating area so she could discuss her packages with the brides-to-be so I did a small sofa and 2 side tables – note the scissor legs again highlighting the Chevron pattern. 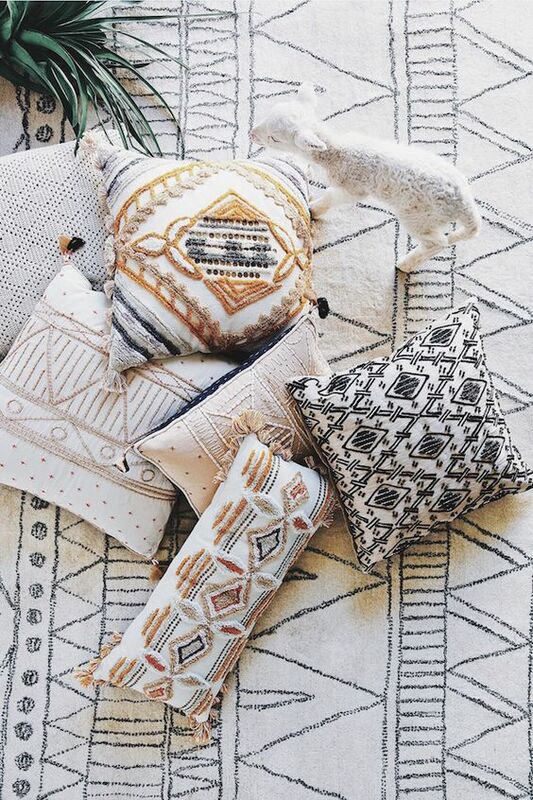 The scatter cushions where an obvious choice! And it was all finished off with a Chevron patterned rug just to pull the space together, make it look more intimate, and again brand re-enforcement! 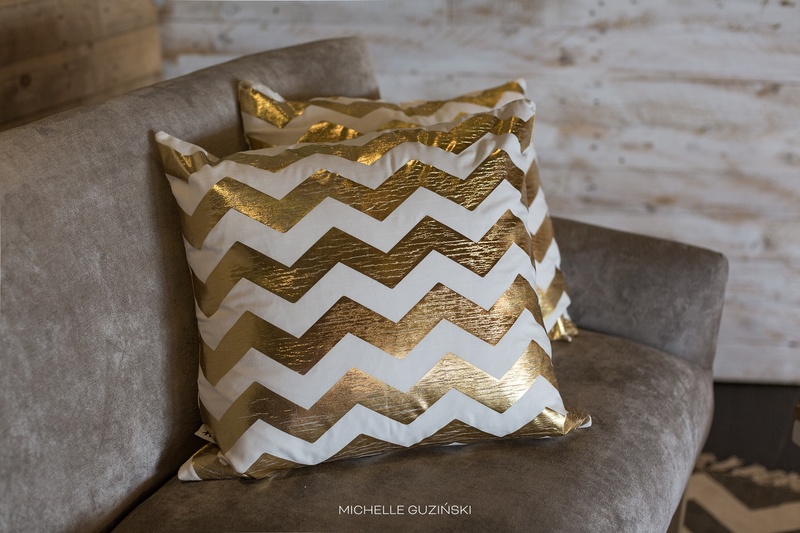 GOLD CHEVRON SCATTERS WAS AN OBVIOUS CHOICE! I must say I am loving these shapes and have been Pinteresting them like crazy! 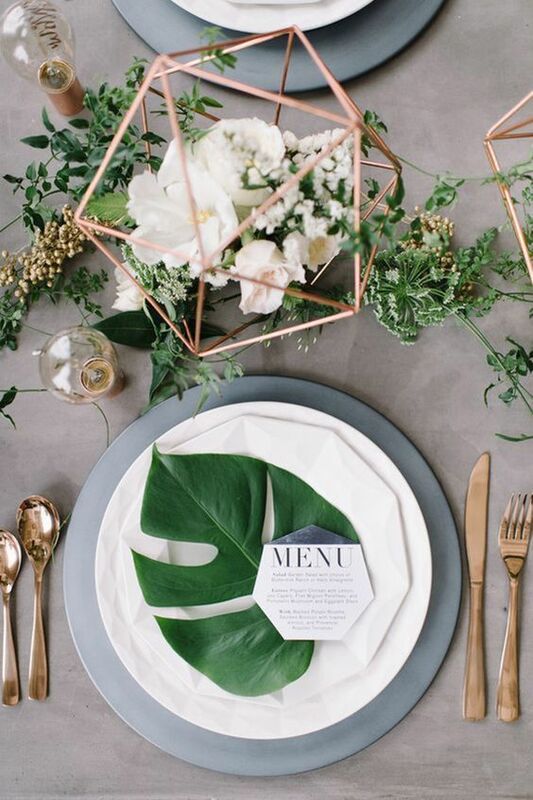 I really think this is a wedding trend to watch out for – they are versatile as they can be used on table tops or suspended. They also work with a variety of flowers in them. Just can’t get enough of them! We chose to showcase Airplants and Old Man’s Beard as something unique and to complement the ‘Natural’ look Michelle wanted. Again, loooove these plants and thinking this is another up and coming trend to watch out for. What a fun little project to start the year off! Reclaimed timber screens: Juniper Event and Styling Co.
1. What is your favourite time of day to photograph? In a photographer’s world there are two perfect times of day to photograph. It’s what’s known as Golden Hour. The hour of sunrise and the hour before sunset. This is when the sun’s light is its most flattering. I’ve been playing around with other times when the sun is higher and I think I like it! I also love it when its overcast – the light is awesome then too! 2. Do you have a favourite location to shoot at? No, not really. It all depends on the light, mood and the people. Although, I definitely wouldn’t mind using places with amazing architecture and mountainous landscapes! I am an absolute sucker for that Khaki/Olive green. And that pairs so nicely with Greys and White for me. So I guess I have three favourite colours. 4. What is your design style? I prefer simple, cosy, natural designs with a bit of minimalism. I tend to go for purpose and function rather than just display. Too me the most amazing interiors are Vintage Scandinavian designs. 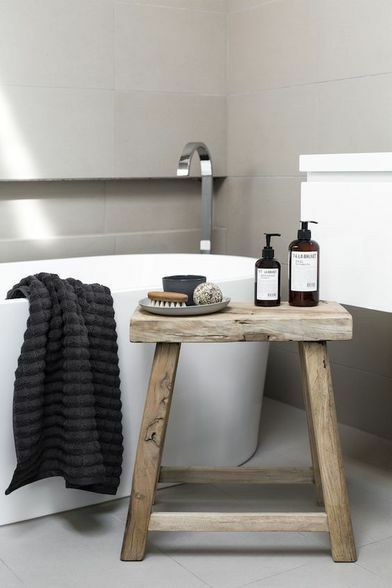 It’s that perfect balance between simple, natural, minimal and cosy. Plants are a must! 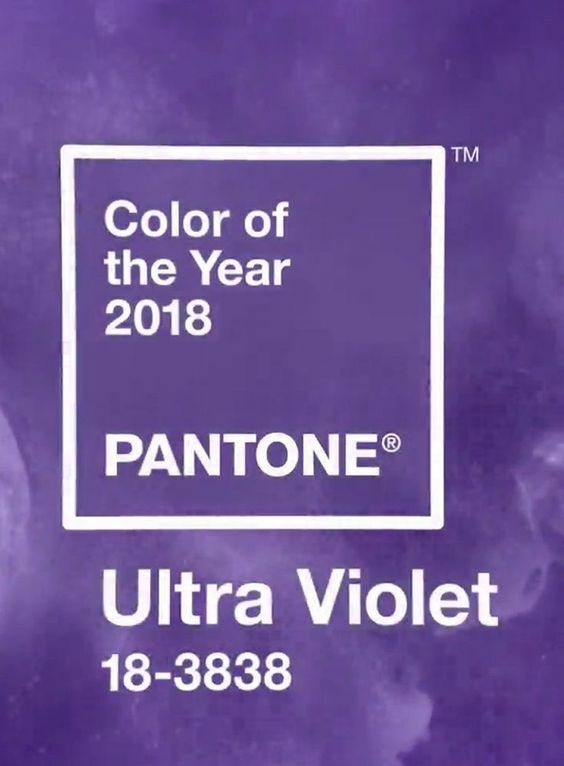 Pantone announced the new Colour of the Year a few weeks ago and it really has raised some eyebrows in the design world. 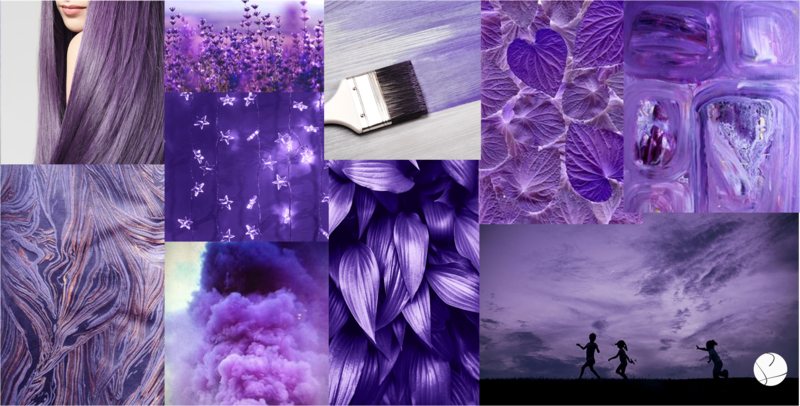 The colour is called Ultra Violet, and it is Purple folks, a very bright Purple – think Barney vibes! 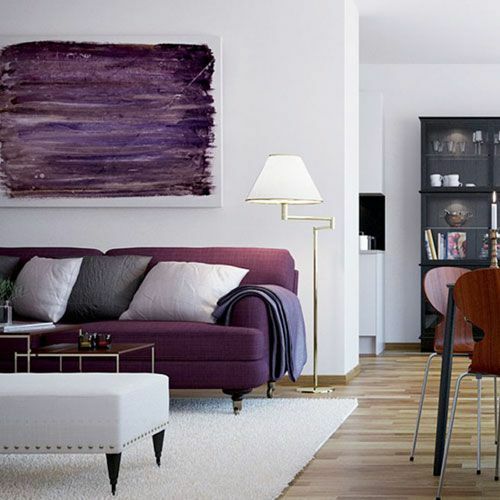 The meaning of purple most often refers to nobility, abundance, and dignity and is very often used in more opulent and regal interiors where more traditional decor is favoured. 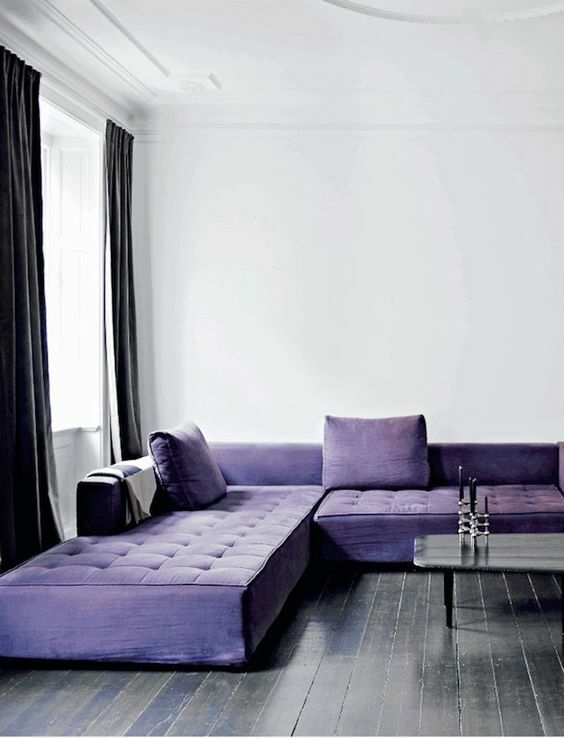 Think deep buttoned velvet sofa… That is all well and good but how can this colour sit comfortably in a contemporary space which is not a tween’s bedroom?! I would start off by advising that this colour be used with a less-is-more approach and rather on small pieces of furniture, art or décor accessories. Maybe as a colour brought into a rug. I would stay clear of wall treatments. 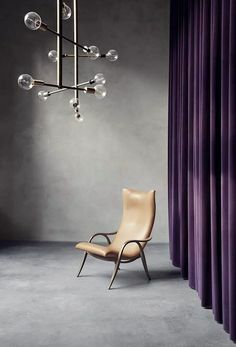 To use purple effectively in a contemporary interior, I would pair it with materials such as concrete, timber, glass and shades of grey. 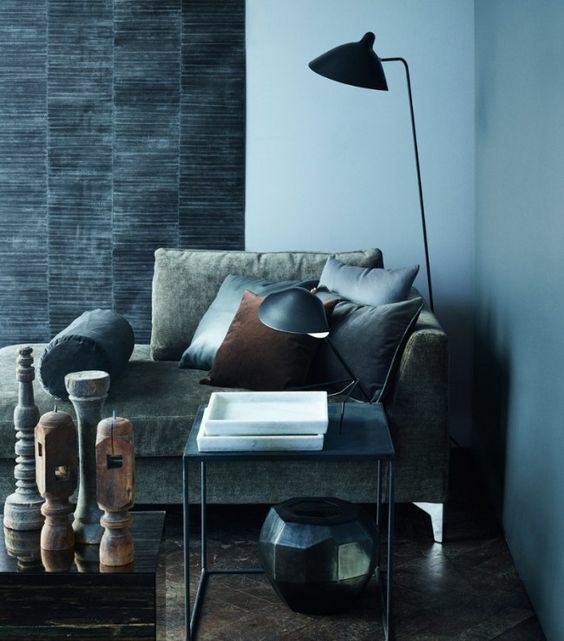 This will all neutralize the saturation of the colour and make it more contemporary and stylish, and less brazen. Can we also have a moment for the light! It will be interesting to see how this colour fares this year across all the design disciplines. I am not so sure it is going to take off in interiors, perhaps a muted Lilac or Mauve shade will to compliment “Millenial Pink” that is still so popular? 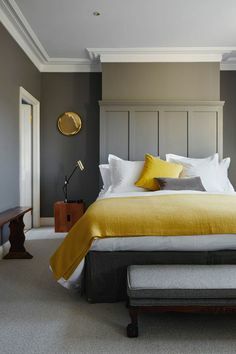 I do see this colour as a passing trend (read more about Trends for this year here) and wouldn’t encourage too much investment in it. What are your thoughts on the colour and can you see yourself using it in your home? It’s the start of a brand new year and with that comes a whole lot of trend predictions – what will be hot in the design world in 2018? While we may want our homes to feel timeless and our décor to last forever, there’s no denying that trends play a large role in the decorating process. 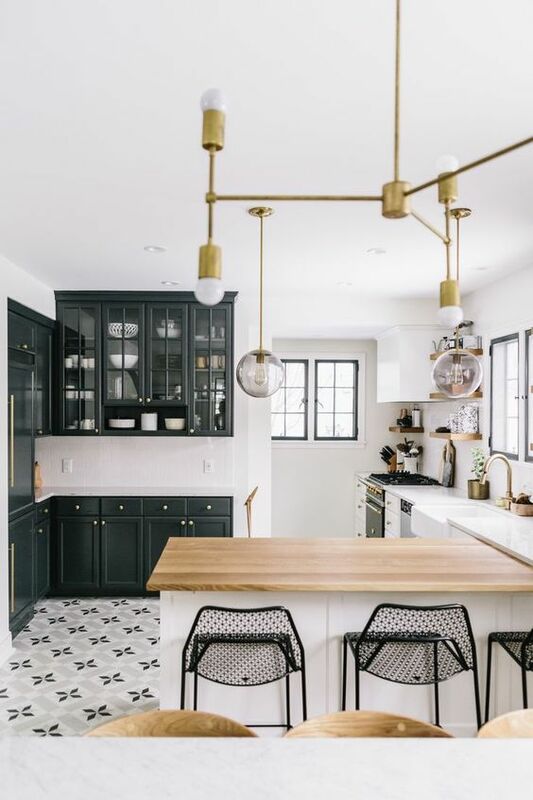 Just like any great outfit is influenced by a mix of trendy accents and personal style, the best interiors reflect personality while showcasing a few pieces that make it feel current…and that’s where trends come in. 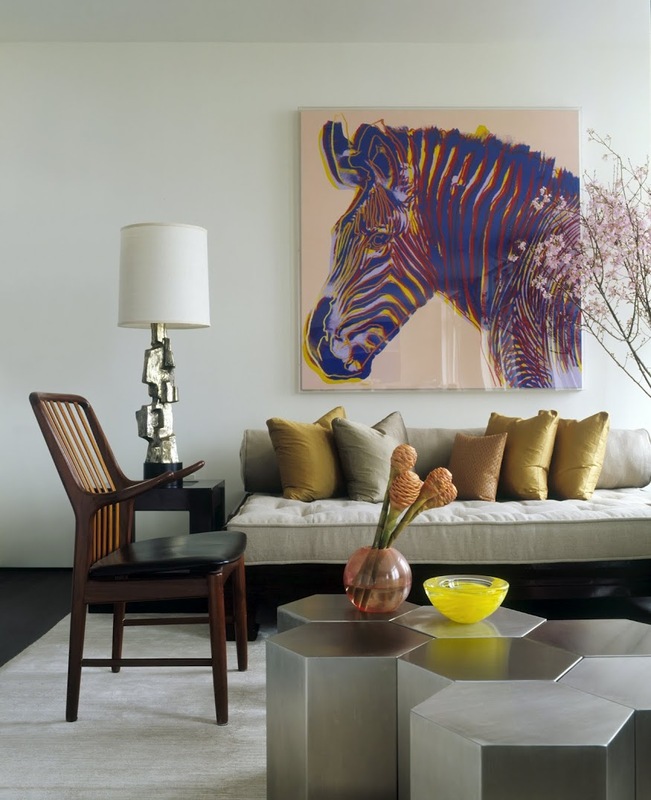 The trick to decorating with trends is twofold. First, use them sparingly, and focus on the ones you see yourself adopting for a long time. 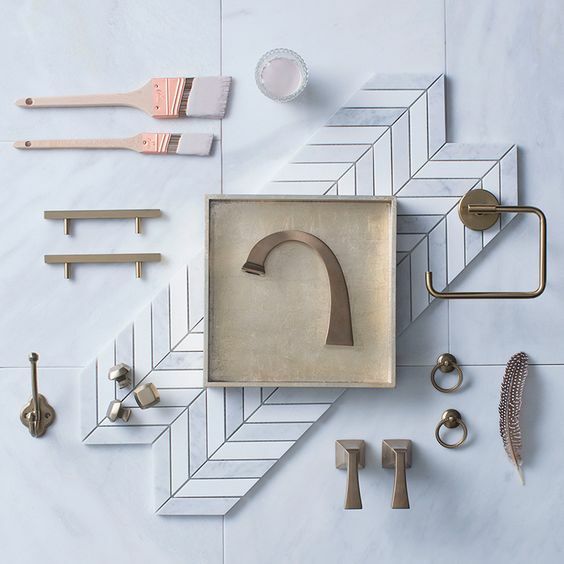 Second, look ahead to the trends that are on their way up, as opposed to the ones that are fading—that way your décor will feel fresh for longer. 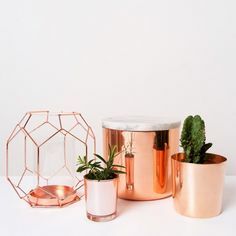 I am over copper. 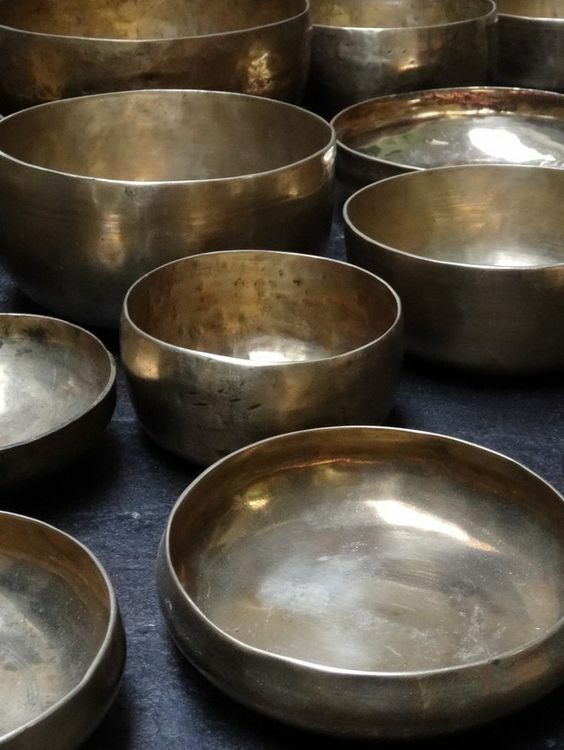 Especially the “very shiny-looks-like-it-was-made-in-China-kind.” I think this year we will see a move towards more burnished metals where the material is more authentic and brushed. 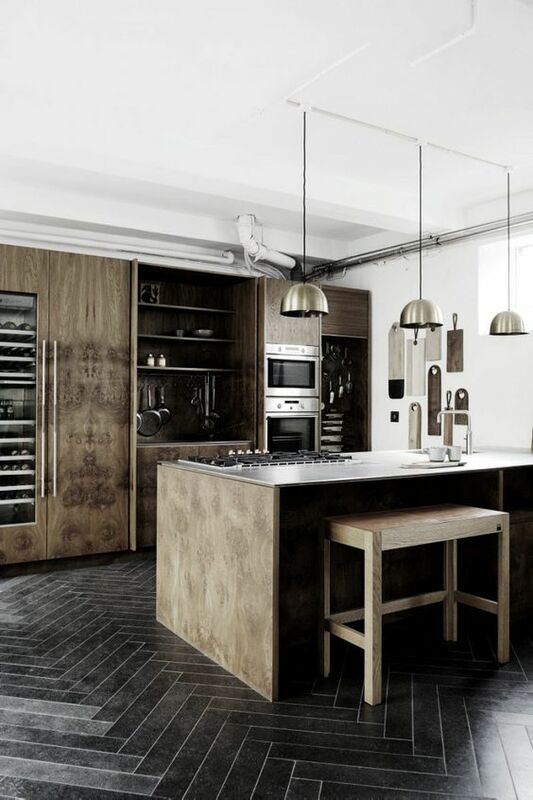 Bronze and blacker metals are predicted to be more popular this year. There is a lot of reclaimed timber out there that has just been done wrong! 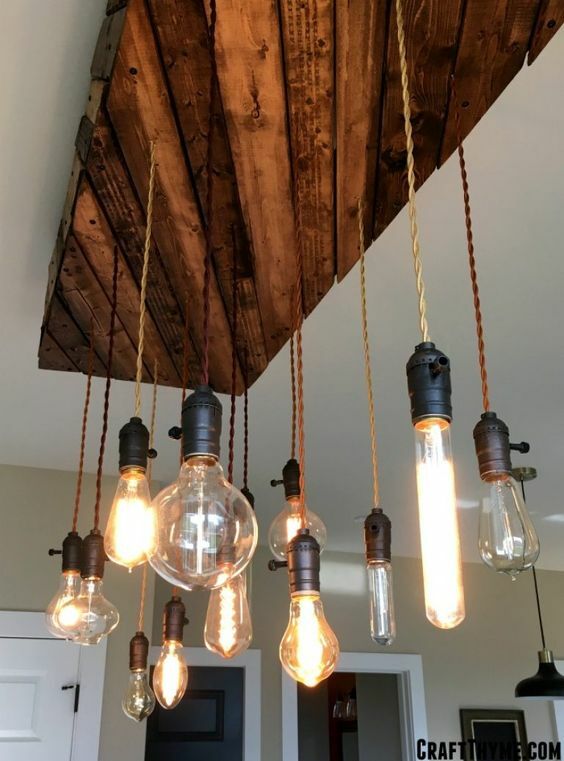 I still like the idea of reclaimed timber – I have used it countless time in various interiors – but I think it needs to be used sensitively and appropriately, not just as a cost effective DIY material. Natural more authentic materials including timber is going to be a big trend. 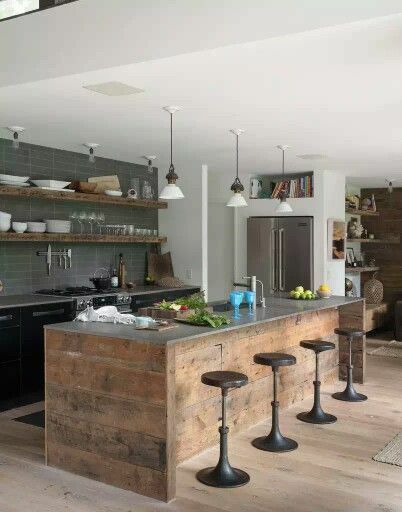 When reclaimed actually suits the style…. I think Macrame’ has its place in a Boho styled interior, and maybe in a nursery adding some interest, but that’s about it. For me this trend is up there with flamingos, pineapples and unicorns – which don’t get me wrong I love – but I think are rapidly approaching a sell by date in 2018. Pom poms, embellishments, fringing and traditional details are predicted to dominate furniture and décor accessories this year. 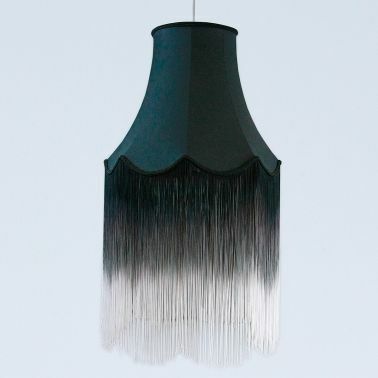 Love a bit of ombre’ fringe! These have dominated interiors for the last few years but I do think they have now had their time to shine. 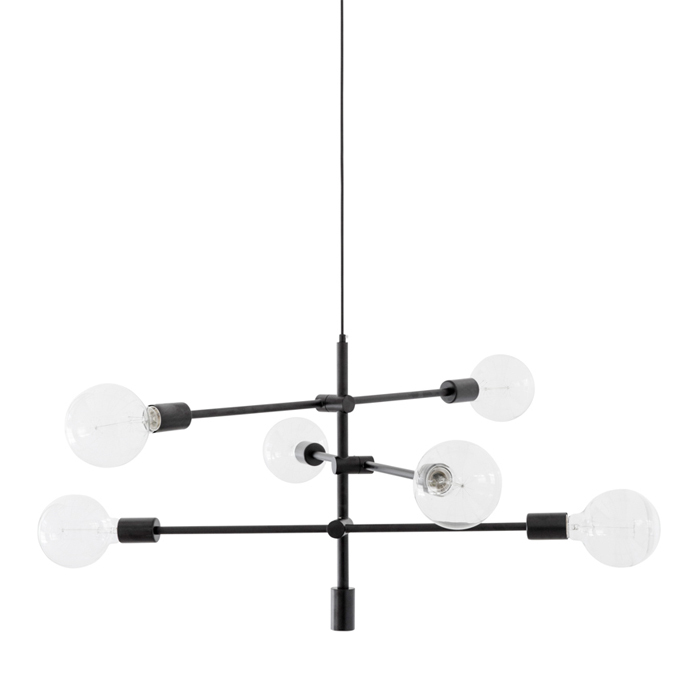 I am personally loving the nod to Mid-Century inspired light fittings which I think will expand in the year to come. There seems to be a definite nod towards more vintage light fittings in 2018. It’s time to say cheers! I think the drama of a ‘pop’ or contrast colour in an interior is been phased out and replaced with a more tonal colour approach this year. What that means is that spaces are designed entirely in the same colour family. 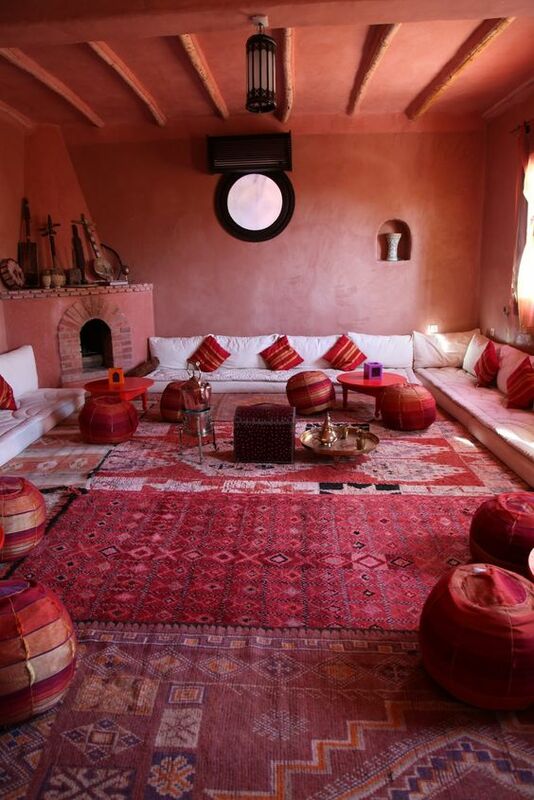 This creates a very minimalistic harmonious and peaceful space. I love this trend and definitely want to adopt this into some of the projects I am going to be working on. Too much contrast and drama for 2018! I will be keeping you posted as the year goes on to see how these trends progress….